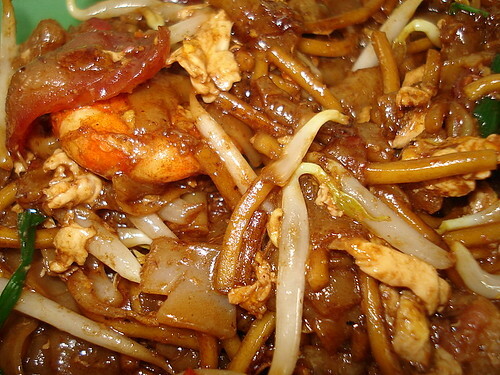 Greasy char kway teow with pork lard!, originally uploaded by Camemberu. This came endorsed by eslim and a few others in the Makansutra forum. I finally got a chance to try this and compare it to the very similarly named Hill Street Fried Kway Teow at Bedok South. Ooh, a bonus prawn!, originally uploaded by Camemberu. It's a pretty close fight, these two. 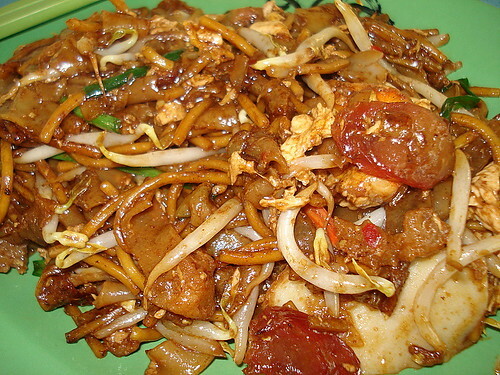 This is also a good plate of char kway teow, but I find it just a wee bit too sweet for my liking - you can literally taste the black sweet sauce they use. The one at Bedok South seems slighly more charred, slightly more dry and savoury. The pork lard there is also fried more crisp (I love crunchy bits!) whereas the ones here are still greasy with oil. So my final (personal) verdict - the Bedok South one still the best! 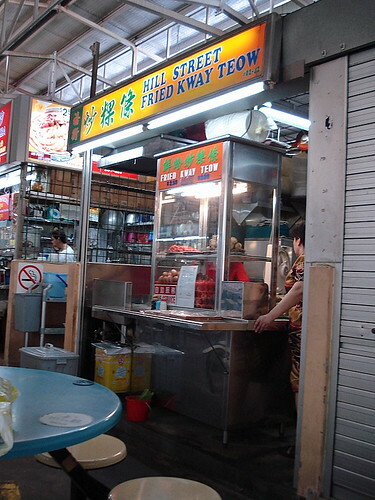 Hill Street Fried Kway Teow at Chinatown Temporary Food Centre, originally uploaded by Camemberu. Honestly, I'm not really sure of the story behind these two identically named stalls and whether they might be related. But anyway, I'm glad the one nearer to me is the one I prefer. Both stalls were at Hill Street FC (now demolished). One was at Level 1 and the other Level 2. Ah, thanks, smart! Now I remember. Was a very long time ago.